President Donald Trump tweeted out an altered video of a speech by Congresswoman Ilhan Omar (D-Minnesota), which juxtaposed words, taken out of context, against the backdrop of images of the worst terrorist attack on American soil. The video cuts short part of Omar’s speech given last month before the Council on American–Islamic Relations. “For far too long we have lived with the discomfort of being a second-class citizen and, frankly, I’m tired of it, and every single Muslim in this country should be tired of it. CAIR was founded after 9/11 because they recognized that some people did something and that all of us were starting to lose access to our civil liberties.,” Omar said in her original remarks, referencing Muslims who had been attacked or harassed in the wake of the terrorist attacks of September 11, 2001. Yet the video shared by Trump truncated her words, to simply, “some people did something,” referencing the attacks themselves. While some on the right have lambasted Omar’s words, they have done so without the full context of her complete quote. With the president joining them, others on social media (including Democratic lawmakers, candidates for president hoping to run against Trump in 2020, and progressive pundits) have spoken out against the propaganda being spread by Trump online. 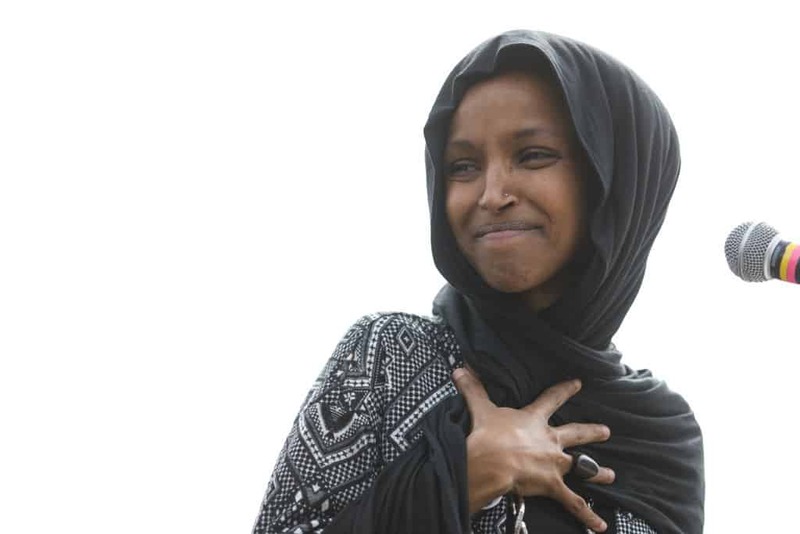 Many of the comments outright condemned Trump’s decision to attack Omar. Our nation needs a President, who instead of posting a video attacking @IlhanMN & stoking division, speaks about how the evil terrorists killed Americans of every race, class, and creed on 9/11. We desperately need a President who can speak again to our nation’s common purpose. Others pointed out that Trump’s rhetoric and sharing of the video was a real threat to Omar’s life. @realDonaldTrump tweets this almost a week after a man in New York was arrested for death threats against @IlhanMN. Still others pointed out that Trump himself made insensitive remarks immediately after the attacks of 9/11, bragging about how he owned the tallest building in New York City after the towers fell. Trump has since pinned his tweet featuring Omar to the top of his list of tweets on his profile. As of this press time, it has more than 60,000 retweets and 51,000 comments.